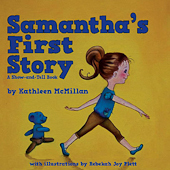 My first fiction project, a children’s book called Samantha’s First Story by Kathleen McMillan (Open Eyes Books 2009). I was the project’s copy editor. 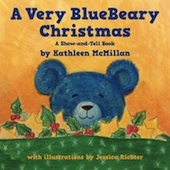 I was the proofreader for the next book in this children’s series, A Very BlueBeary Christmas (Friesen Press 2013).